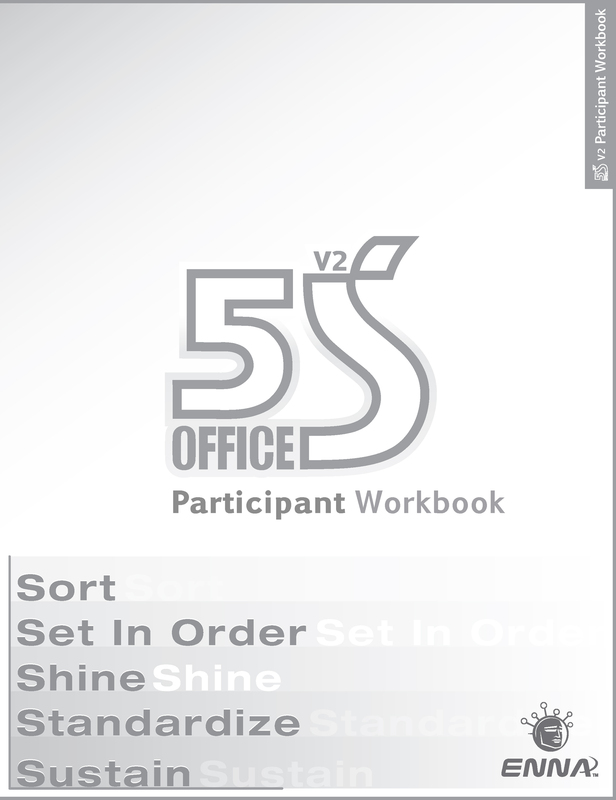 Version 2 of Enna's 5S Office Workbook is designed to be used during the Office 5S Workshop. This product focuses around the terms Sort, Set In Order, Shine, Standardize, and Sustain. This workbook allows the participant to systematically follow the workshop presentation and will serve as a continued reference long after training and the workshop are finished.